There have been a few notable results from the Inform Racing race cards in the last week and I thought I would highlight some of these to show how you can find a lot of simple and good priced winners. Just by looking at the race card and with very little effort, you can pinpoint those with the greatest chance as the ratings make it simple to look at ‘the numbers’, rather than worrying about too much form reading and in depth study. The three examples below show you ways of using the speed ratings race cards if you are in need of some assistance, or are new to the Inform Racing Speed Ratings and would like to start winning. Reason: Top Class Par figure. Looking at the race card above, it is easy to see that Winston C is clear on the Master rating, M+A rating (Master rating + Average rating) as well as a good Lto rating and high Ability score. So already this is a horse that would probably be put on most short lists, however, the one thing that stands out for this horse amongst everything else is the actual Master rating of 84, achieved only 26 days ago on the All Weather at Kempton. 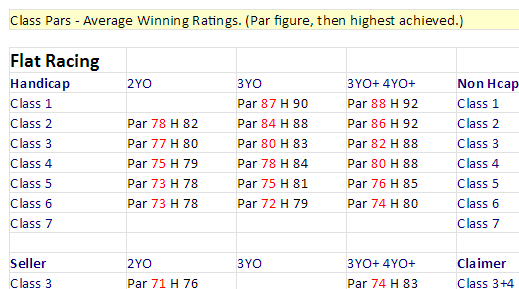 Below each race card is a link that opens the Class Pars table and this shows the highest winning ratings for each race type and age group and below you can see an image of part of the table that shows the details for the race that Winston C ran in. The race that Winston C ran in at Wolverhampton was a Class 4 Handicap for 3 year olds. If you then look at the table above and match up Class 4 Handicaps, with 3YO, you can see that the par, or average winning rating for this race type and age group is 78, with the highest rating recorded in the past 12 months, being 84. With Winston C matching that rating of 84 just two runs ago, he has to now be a very serious contender. With this high rating achieved on the All Weather at Kempton over 1 mile 3 furlongs, you could add that despite a good rating last time out the horse was running on the turf and dropped to 1 mile 2 furlongs. Now back on the All Weather and running again over a longer trip, with that top rating in the bag less than a month ago, you just have to note this horse if the odds are not too skinny. Whilst the horse did go off as favourite, the previous form figures of 333, possibly suggested to many that the horse may not be putting it all in and went off the 5/2 favourite at the off. A pretty fair price when you see how easily the horse won by three and a half lengths. Incidentally the horse chasing him home was the horse with the best rating last time out and second rated in the M+A column, African Beat at 12/1. It is always worth noting the Class Pars tables – I have the flat and jumps tables printed off and blue tacked to my office wall so I can look at them easily at all times – as it is always good to look at a race and see if a horse could be in a different class to the other runners. This Class Par table can also allow you to eliminate short priced horses that don’t rate up to the average for the race too. When I first added the Run Style figures to the race cards, I almost immediately win over £2,500 on a Yankee bet when I had three winners out of four, all selected by being a likely winner down to how the race was likely to be run. Briefly, the run style figure shown in the R/S column on the race card, gives an overview of how the horse is likely to run. A 1 or 2 means the horse is likely to lead, be prominent or chase the leaders, a 3 is a horse that would run in midfield and a 4 shows a horse likely to be held up or that starts slowly. More info on this and all the details of the Inform Racing card, can be found on the User Guide link here. In a nutshell, if there a lot of horses that are likely to want to get to the front of a race early, especially in a 5 furlong race like we had here at Haydock, those front runners will all take each other on, burn out towards the end of the race and allow those horses that were held up at the start, to use their reserve of energy and run through the tiring field. Of course this doesn’t always happen as planned unfortunately, but as you can see on the card below and the run style figures shown, it was always possible that Stoneyford Lane (R/S of 4) would be the only horse that started slowly as the rest of the field (R/S of 1 and 2) went off like a rocket. As you can see from the in running comment, on this occasion everything went to plan for this held up runner on the day and he went on to win comfortably at 15/2 by a length. “In rear and outpaced, good run inside final furlong, led towards finish, ran on (op 9/1 tchd 8/1 and tchd 10/1)”. If you can find just one horse, maybe two at a stretch, where the run style number of 4 is running against a number of 1’s and 2’s, then it is possible the race will be run to suit. You can also look for just one horse in a race that has a 1 for the run style, against a filed of 4’s, where the 1 horse gets an easy lead and is allowed to dictate the pace and lead from start to finish. Again, check out the User Guide link above for more detail and explanation of the Run Style figures and what they all mean. The Distance column, shows the best rating achieved over the Distance in the past 12 months and along with the Going, is seen by some to be an integral part of the form to note. At Ayr yesterday there were 8 races and from these, there were 6 winners who had a top 3 rating in the distance column, the other winners were an unraced horse so had no rating and another who ran in a Novice race with very little form to go on. I am only highlighting these 6 as they happened on one day at the same course, but looking for horses that have a good rating over the distance is clearly something that does point to a number of good priced winners. Yesterday these came in at 12/1, 8/1, 15/2, 15/2, 13/2 and 9/2. Interestingly, Magic Journey Won 15/2 had a win rate of 0/7 at the distance and Let Right Be Done Won 13/2, had a 0/10 strike rate of winning over the distance. Enough to put most people off I would imagine, however the speed ratings certainly suggested they were not without a chance at the distance and it is the ratings that I would look at first, not the form, especially when weighing up a horse against the others in a race. You can see the six winners and their Distance ratings below. The cards have been sorted by the Distance column to bring the highest ratings to the top. 2.15 Ayr -Raquet Won 9/2 (My Girl Maisie was a non runner). Three examples then of different ways that the Inform Racing race cards can be used to find easy and/or good priced winners. 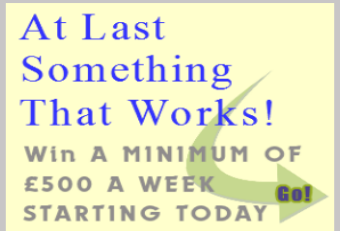 The examples above are just one of a number of reasons why Inform Racing has been successfully online since 2003. Personally a lot of effort goes into calculating the ratings manually every day and at this time of year there is a whole load of racing taking place! If it wasn’t a successful business for me through the subscriptions and repeat subscriptions, I would certainly not continue doing what I do. 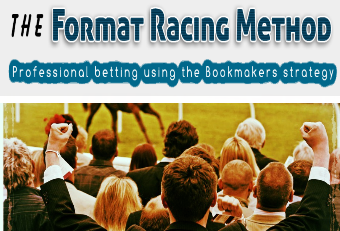 The ratings are not of course for everyone but for those who want something new or something different in a simple to use format that highlights a number of winners day after day, then with discipline and structure you can succeed with your betting, using the Inform Racing speed ratings. I am just going to end with a recent email I received that highlights this for recently new user Dominic below. Hi Ian, Just wanted to drop you a sincere note of thanks. Due to your ratings service, for the first time in seven years, I now understand the sport of horse racing. 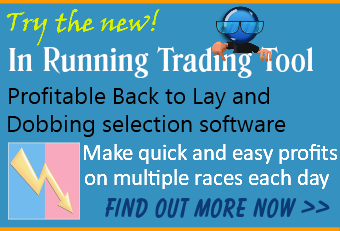 Inform Racing has made it easy for me to analyse a race, and more importantly, to learn which races to avoid. I have subscribed to almost every ratings service in the UK. None compare to Inform Racing. Finally, horse racing is both profitable, and convivial. You can download our e-book Winning With Speed on the link below, which explains a little more detail about the speed ratings and contains a 10% discount off a 12 month subscription which help sway you to get involved today.